Interior Minister Oliver Spasovski said that the Government rejects the “blackmail” from the Islamic Religious Community (IVZ), which has used the pre-election period to demand that the Government returns valuable state owned real-estate where mosques used to be. IVZ asked that its requests are met in 10 days, and if not, it told the Government that it will use its 700 mosques to inform the faithful of the situation in the run up to the presidential elections – indicating that it will ask Muslims to punish the Government at the polls. We believe that threats are unacceptable, no matter who they come from. In this case we face a letter from the IVZ which contains a serious blackmail. I ask them to be serious. 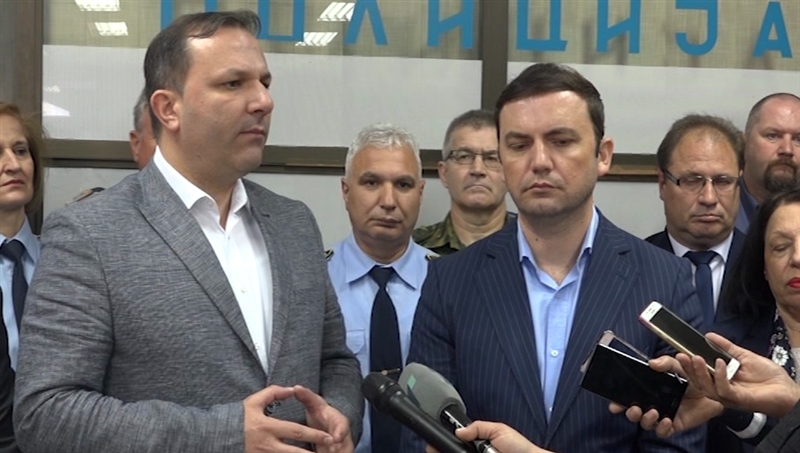 This Government, led by Zoran Zaev, has serious capacity for dialogue, and in that spirit we are prepared to talk to anybody, but we will not allow them to blackmail us, Spasovski said. Unlike Spasovski, Deputy Prime Minister Bujar Osmani from the ethnic Albanian DUI party, was more reserved and told the press that the Government wants to talk to all parties and that it can meet the important requests from IVZ through dialogue. On top of receiving the property it claims, much of which was given to various mosques during the Ottoman times, IVZ demands that the Government pushed municipal authorities to legalize a mosque in the village of Lazec, give it a mosque in Stip and, most prominently, allow the building of a large minaret in a mosque in downtown Ohrid.